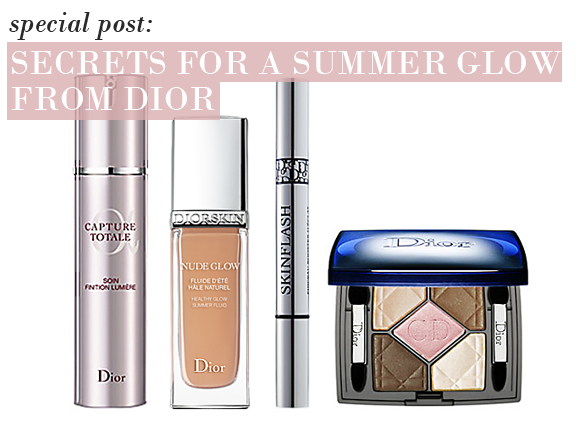 With the sun playing peek-a-boo constantly this week, Dior’s International Beauty Expert Shane Paish shares his top tips on how to get glowing skin this summer..
2) Perfect the canvas before you start painting. “Use shadows with a metallic-based hue to keep them from looking flat and two-dimensional. Warm-toned metallic eyeshadows will sink into the skin’s oils and blend beautifully.” Try Dior 5 Couleur Iridescent in Earth Reflection, £38.00. This entry was posted on Wednesday, July 13th, 2011 at 3:00 pm and is filed under Make-up, Skincare. You can follow any responses to this entry through the RSS 2.0 feed. You can skip to the end and leave a response. Pinging is currently not allowed.